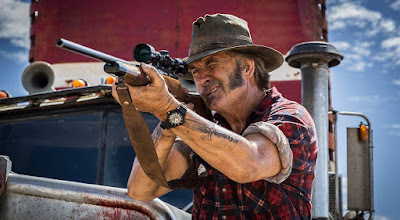 Wolf Creek star John Jarratt, who plays the iconic killer Mick Taylor, has been charged by police in Australia with historical sexual assault. New South Wales police said they issued Jarratt with a court attendance notice Friday, alleging he raped an 18-year old woman in September 1976 at a house in Eastern Sydney. Jarratt’s accuser reported the incident to New South Wales police in December 2017. She had spoken with Australian journalist Tracey Spicer in late 2017, in response to a call out from Spicer, who has become known as the face of the #MeToo movement in Australia. Spicer published the unnamed woman’s allegations on Twitter in October and urged her to go to the police. In November of last year, Jarratt’s talent agency Ignite Elite Artists said the actor "emphatically and completely denies the allegations of sexual assault. These allegations are completely unfounded and untrue". John Jarratt is the second Wolf Creek alum to be charged in Australia with a crime from over 40 years ago. Rolf Harris who's song 'Tie Me Kangaroo Down Sport' was featured in Wolf Creek 2 was charged with indecent assault of women stemming from allegations from 1971 to 1983.